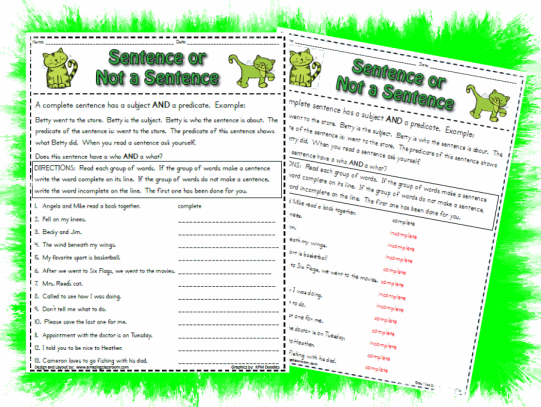 With this activity page, your students will be able to identify a sentence as complete or incomplete. Use this activity for formative assessment to see what your students know prior to teaching this concept, or use after you teach the concept to see which kids have mastered this concept. This worksheet/activty page contains an answer key for the ease of grading. Enjoy! 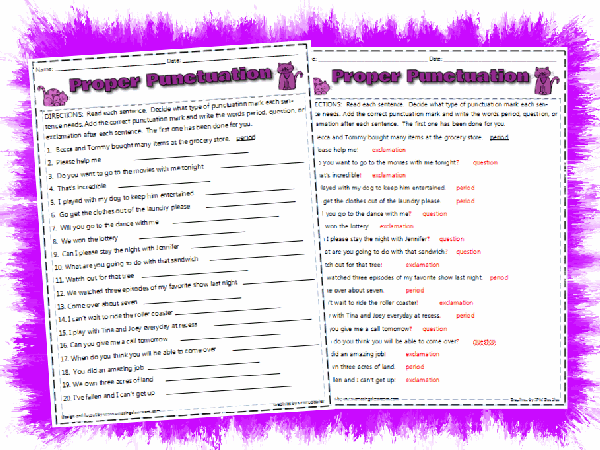 With this worksheet, your students will have the opportunity to identify words that should be capitalized, underline them, and rewrite the sentences using correct capitalization. This is a step above just finding the mistakes. 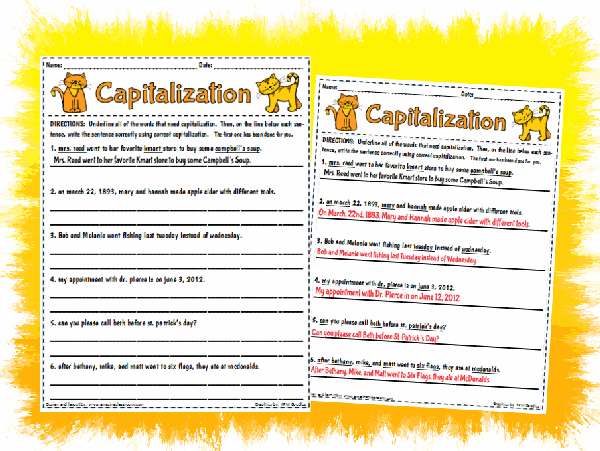 Use this as a summative assessment to see how much your students learned about capitalization. Enjoy! With this activity page, your students will have to read each sentence and decide whether it needs a period, question mark, or exclamation mark. There are twenty sentences for tons of practice. An answer key is included for easy grading. Enjoy! 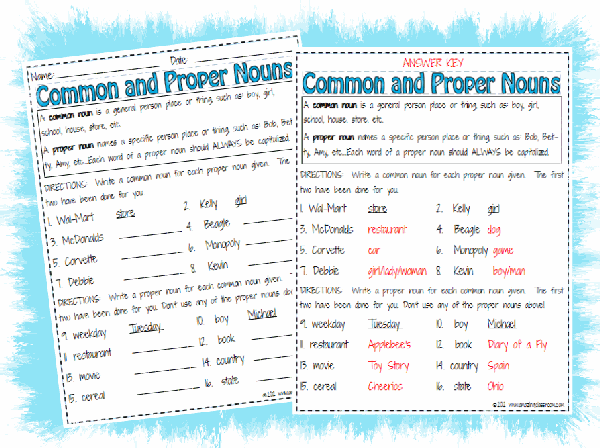 With this worksheet, your students will have a better understanding between the difference of common and proper nouns. 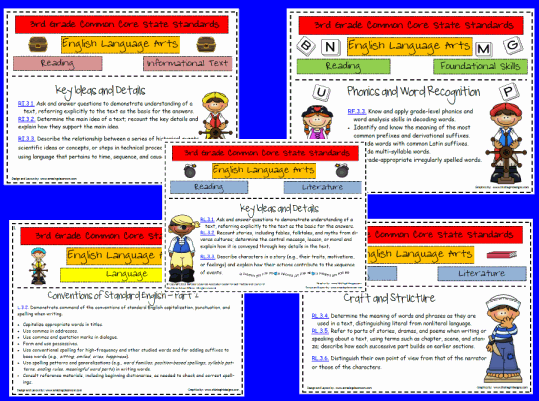 This activity page provides examples of common and proper nouns along with practice for your students. Use this as a formative assessment before teaching and/or a summative assessment after you have taught this concept. 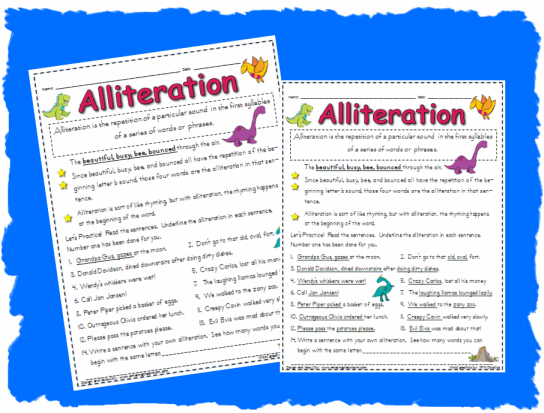 Let your students have fun practicing alliteration with this fun activity page. It even includes a challenge question for them to write their own alliteration sentence. Your students will be able to identify alliteration in poems and sentences after completing this activity. Use this activity page for formative assessment to see what your students know, or for a quiz at the end of your lesson. Enjoy! These are the new Common Core State Standards for 3rd grade English Language Arts. This cute and teacher-friendly printable would be great to keep in your lesson plan book or grade book for easy reference. 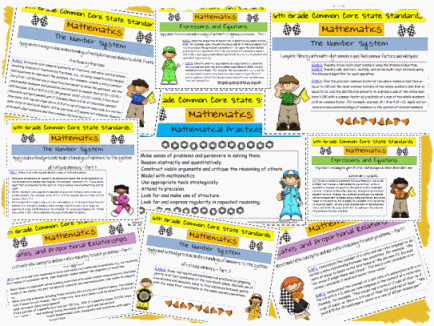 These are the new Common Core State Standards for 3rd grade mathematics. This cute and teacher-friendly printable would be great to keep in your lesson plan book or grade book for easy reference. 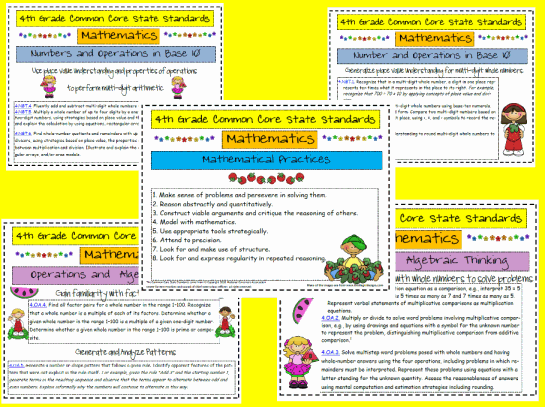 These are the new Common Core State Standards for 4th grade mathematics. This cute and teacher-friendly printable would be great to keep in your lesson plan book or grade book for easy reference. 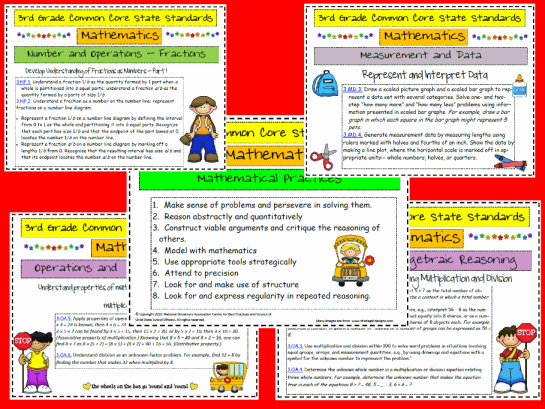 These are the new Common Core State Standards for 6th grade mathematics. This cute and teacher-friendly printable would be great to keep in your lesson plan book or grade book for easy reference. 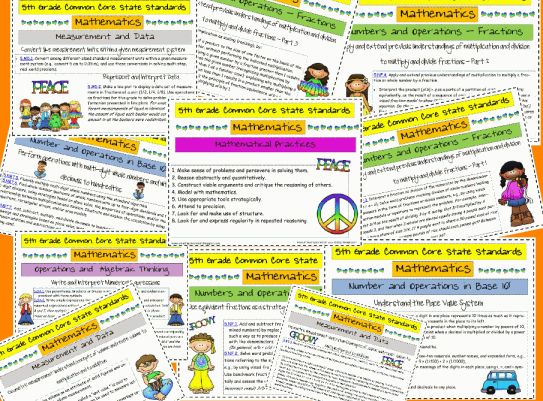 These are the new Common Core State Standards for 5th grade mathematics. This cute and teacher-friendly printable would be great to keep in your lesson plan book or grade book for easy reference.